Their popularity, and chronic federal underfunding, have created a maintenance nightmare that must be addressed, even if it means higher fees. National parks are set aside in order to preserve special lands for public use, to “make it possible for all Americans — millions of them at first-hand — to enjoy unspoiled the great scenic places of the Nation,” as a former longtime director of the National Park Service once said. Now, because the parks have been such a success at that mission, and Congress such a failure in its own duty to maintain the parks, they are in trouble, with billions of dollars of maintenance in the backlog. The Trump administration’s answer to this ongoing problem is to raise fees, a proposal announced last week. 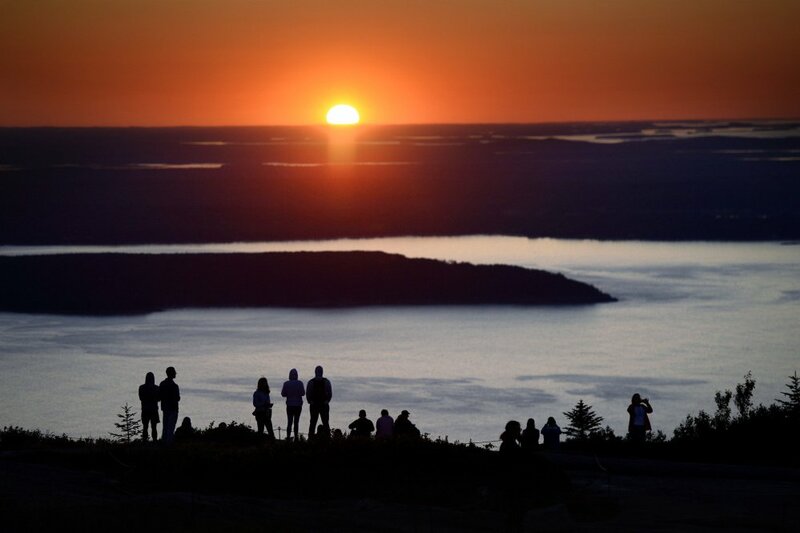 While much has been made of the size of the increases, places like Acadia National Park would remain affordable. The question, though, is whether the fee increase is enough to adequately fund maintenance at the parks. Under the proposal, fees would increase for peak-season passes at 17 parks, including Acadia. Vehicle entrance passes, good for seven days, would jump from $25 to $70, motorcycle passes from $20 to $50, and individual passes from $12 to $30. Those increases are steep; 180 percent in the case of vehicles. But the cost is well in line with other similar pursuits. As one Bar Harbor business owner told the Portland Press Herald, the cost for a weeklong pass would be about the same as a day for one spent downhill skiing. The park service estimates the increases would raise an additional $70 million, which would be a 34 percent increase in revenue from fiscal year 2016. By law, 80 percent of those funds would stay in the park where they were generated. That may sound like a lot, but it’s not. There is more than $11 billion in deferred maintenance in the National Park Service, and Congress only appropriates about $1 billion a year to chip away at it. Acadia is a prime example of how things got this way. It is one of the most popular parks, with 3.3 million visits last year, and it has set attendance records in each of the last three years. Visits are up 55 percent since 2006, and parking and traffic congestion are becoming a problem. That’s a lot of wear and tear on the park to go along with regular maintenance, and after years of insufficient federal funding, Acadia finds itself with a $71 million backlog. Repeat that over each of the similarly popular and underfunded parks, and you can see why there is such a problem, and why an additional $70 million a year across the whole park service won’t make much of a difference. The proposal is a good sign that the Trump administration is taking the backlog seriously, although at the same time the president is also suggesting a significant cut to the park service budget. That sends a mixed message about whether the goal of the fee increase is to relieve the maintenance backlog, or just cut the amount of federal dollars going to the park. As the period for public comment on the plan continues through Nov. 23, the park service should address the budget and the fee increase, which appear to be at odds. It should also consider alternatives for addressing the maintenance needs, as Sens. Susan Collins and Angus King have suggested, as well as for handling the large and ever-increasing crowds that are visiting the parks. It will take more than just entrance fees to keep the “great scenic places of the Nation” from falling prey to overuse.